I don't think "bleak" quite conveys the proper notion when looking at that sign. Assuming there's perfect overlap between the two groups of job seekers, there are 82 positions but 494 people? Oof. Perfect overlap seems unlikely, as industry looks for the "perfect candidate" with an exact match of qualifications. Saw a great 60 minutes on Rare Earths..makes me want to go back to grad school again, in Rare Earth mining. But if I do, I'll probably have no job after school, even though its mining is a national security issue. why would you need grad school to mine rare earths? Most miners have HS diploma only. Why do you need HS to dig junk out of the ground? Every chemistry department website should have a copy of this image prominently displayed. I don't know about the on-site career fair, but the virtual fair is pathetic. 10 total openings, most of them sales or field application positions. In case it wasn't obvious, nothing requiring a Ph.D. As always, flooded by people who have no intention of trying to properly use it, just announcing themselves in every open forum and asking for a job. And again, multiple employers who took the time to setup virtual booths but then have no intention of actually engaging people in conversation through them. Waste of time. Yes, I had been monitoring the number of "virtual employers" who had registered for the virtual career fair for several days, now. It really is pathetic. The jobs which were listed are basically in sales. Nothing needing an advanced education and nothing in organic chemistry. 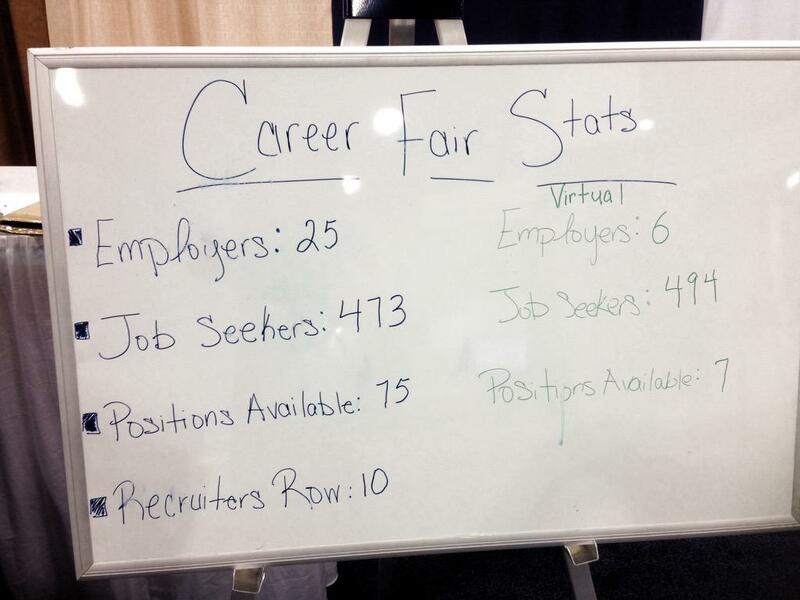 Word has it that the number of "virtual employers" and jobs will not increase beyond those numbers throughout the time of the career fair. Private conversations with organic chemistry career consultants at the virtual career fair were helpful, but very grim. One commenter asked "How many of these job seekers are currently unemployed?" This is a statistic which I've been asking the ACS to research for a long time. It would also involve chemistry departments providing statistics about the career outcomes of their doctoral graduates. Statistics, and not just non-statistical "happy ending" stories. I'm only one person, but I'm unemployed and attended the virtual job fair. It was disappointing.